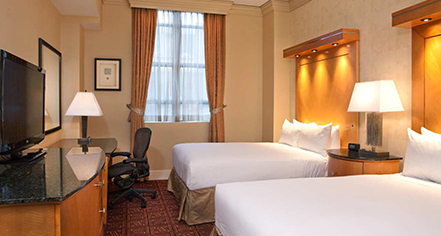 Spacious and thoughtfully-appointed, Guestrooms at Hilton Boston Downtown Faneuil Hall hotel include all the necessities for an unforgettable stay. Guests can relax and watch the 42" HD television with HD channels and on-demand entertainment, or take care of business at the spacious work area with ergonomic chair. 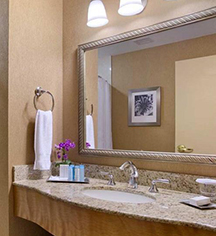 All accommodations feature high ceilings with crown moldings, marble bath, and luxury amenities.